The International Court of Justice (ICJ) is set to hold public hearings from February 18 to February 21 in the case concerning the execution of former Indian Navy Officer Kulbhushan Jadhav, who was sentenced to death by a Pakistani Military Court on espionage charges. Mr. Jadhav was awarded death sentence in April, 2017 by the Field General Court Martial in Pakistan, evoking a sharp reaction in India which warned Pakistan of consequences and damage to bilateral ties if the “pre-meditated murder” was carried out. While India acknowledges that Jadhav had served with the Navy, it denies that he has any connection with the Government. The Appeal on Mr. Jadhav’s behalf was then given to Pakistan’s Foreign Secretary Tehmina Janjua by Indian High Commissioner Gautam Bambawale, who also handed over a Petition by Jadhav’s mother, expressing the desire to meet him, and seeking the Pakistan Government’s intervention for his release. India had thereafter moved the ICJ in May last year, seeking stay of the sentence. Subsequently, the ICJ President had sent an urgent Communication to Pakistan under Article 74, paragraph 4, of the Rules of Court regarding the proceedings. While Senior Advocate Harish Salve represented India, Pakistan was represented by Khawar Qureshi, QC. In its letter to the ICJ, India had essentially claimed that Mr. Jadhav was kidnapped from Iran, where he was carrying on business after retiring from the Indian Navy, but was shown to have been arrested in Baluchistan on March 3, 2016. It had further pointed out that India was informed of his arrest only on March 25, and was also denied repeated requests to provide him consular access. It had therefore sought a suspension of the death sentence. 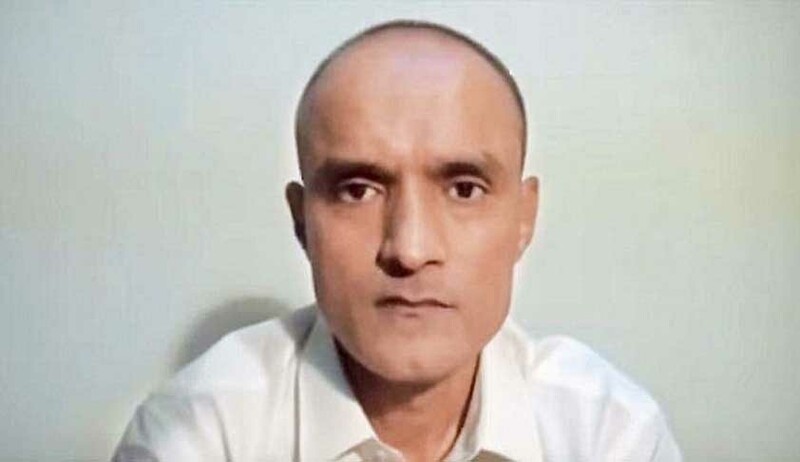 Finding merit in these contentions, ICJ had provisionally stayed the execution and had directed Pakistan to take “all measures at its disposal” to prevent the execution of Mr. Jadhav, pending final judgment. In the unanimous decision, the court had instructed Pakistan to inform it of all measures taken in implementation of the order. It had noted that the acts alleged by India, i.e., the alleged failure by Pakistan to provide the requisite consular notifications with regard to the arrest and detention of Mr. Jadhav, as well as the alleged failure to allow communication and provide access to him, appear to be capable of falling within the scope of the Convention. The court had then ruled that the “rights alleged by India are plausible”. It had observed that the rights to consular notification and access between a State and its nationals, as well as the obligations of the detaining State to inform the person concerned without delay of his rights with regard to consular assistance and to allow their exercise, are recognized in Article 36, paragraph 1, of the Vienna Convention. Additionally, ICJ had asserted that the mere fact that Mr. Jadhav is under a death sentence and might therefore be executed is sufficient to demonstrate the existence of a risk of irreparable prejudice to the rights claimed by India.